Let’s make it clear. 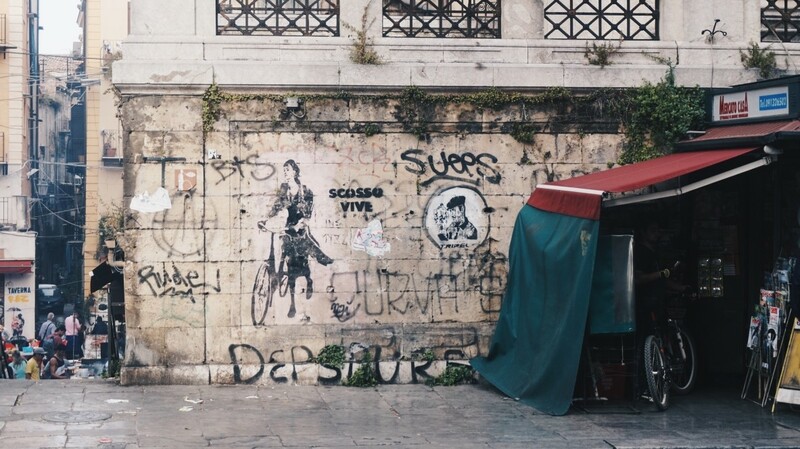 Palermo isn’t one of those places that take your breath away the moment you see it. Before I visited it, I’ve had no idea what should I expect. To be honest, I didn’t find any pictures of some specific places located there. Come on, what connotes with Palermo? 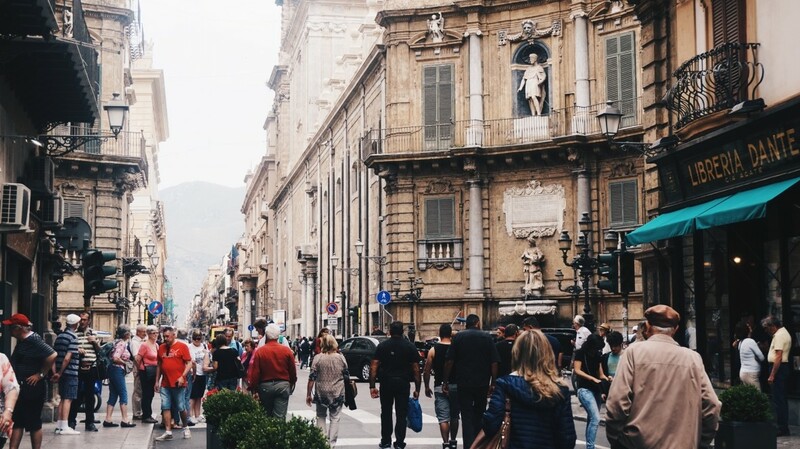 Rome – Colosseum, Pisa – Torre pendent di Pisa, Milan – Duomo, Naples – Vesuvio, and… Palermo? The moment I visited Sicily, I managed to discover this secret. This trip made me really excited. 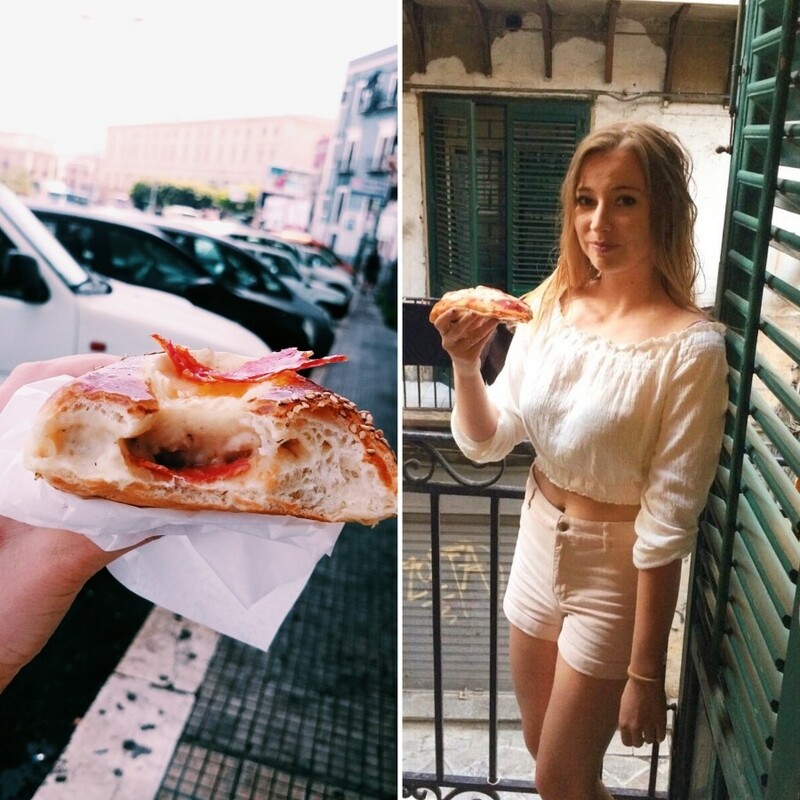 Even though I used to visit Italy many times, I’ve never been to Sicily – and it was one of my biggest dreams. It turned out that arriving there wasn’t as easy as it might have seem. Last year I was living in Florence and we had a direct flight from Pisa to Palermo. The fun began, we started our trip at 3 a.m., and two hours later we got to the airport. Our departure was at 6:40 a.m. At 6:10 a.m. we were already waiting, all ready to go and excited about our May weekend. Then, I’ve looked through the window and saw this horrible fog. To be honest, the visibility was close to zero and I have to admit that I’m not keen on flying. 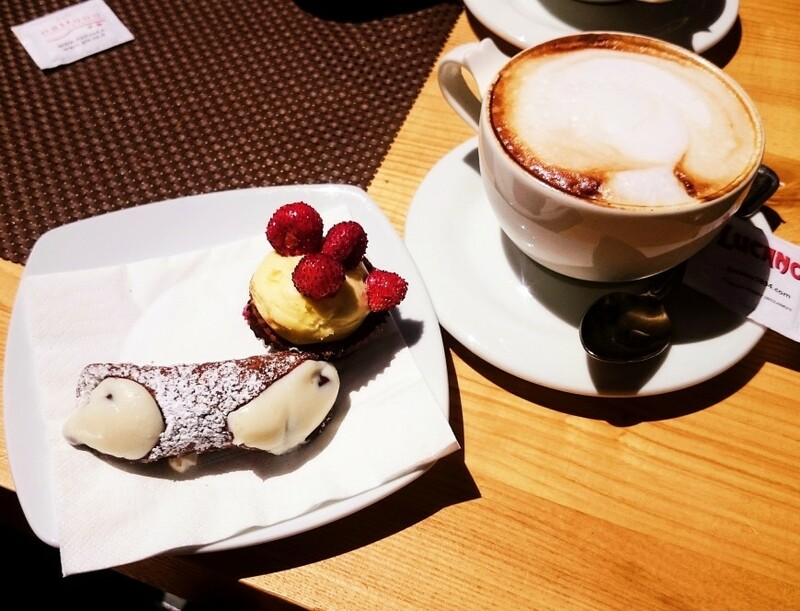 However, I managed to ignore it – the thought of me tasting the goods of Sicily with cannoli in my hand in next 1.5 hour made me simply forget all of the problems. Unfortunately, the fate became our enemy – because of adverse weather conditions our flight to Palermo was cancelled. What next?! Here’s what happened – panic, crying and disappointment. Luckily, it all turned out quite well! 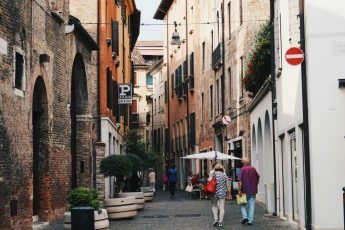 Ryanair occurred to be very professional – next morning, at 6 a.m. we were having a new booking to Catania and they granted us a free overnight stay in the nearby hotel so we didn’t need to come back to Florence. 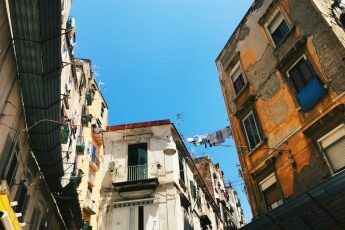 We felt sorry that our stay in Sicily will be one day shorter but on the other hand, where one door shuts, another opens. 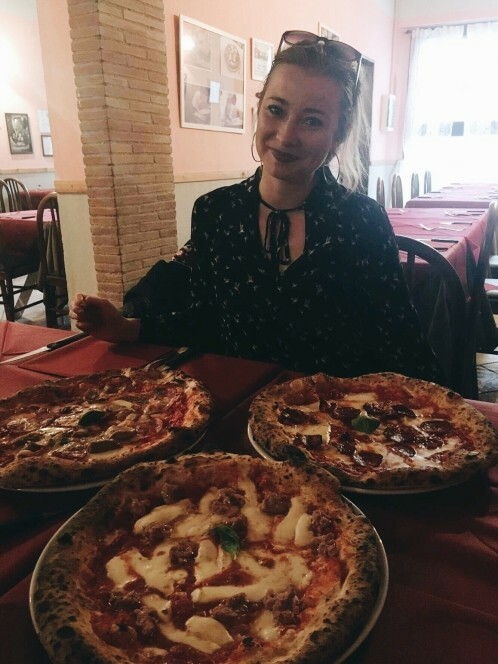 One of my favourite pizzerias – L’arciere is located in Pisa, so as you might only guess, we ate there a delicious Neapolitan pizza. 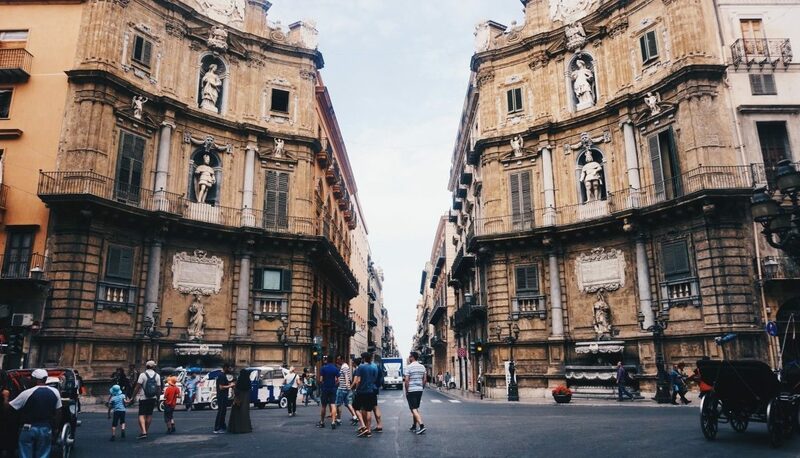 After many adventures, the next day we’ve finally managed to get to Catania. Three more hours by train and finally, we’ve reached our destination. 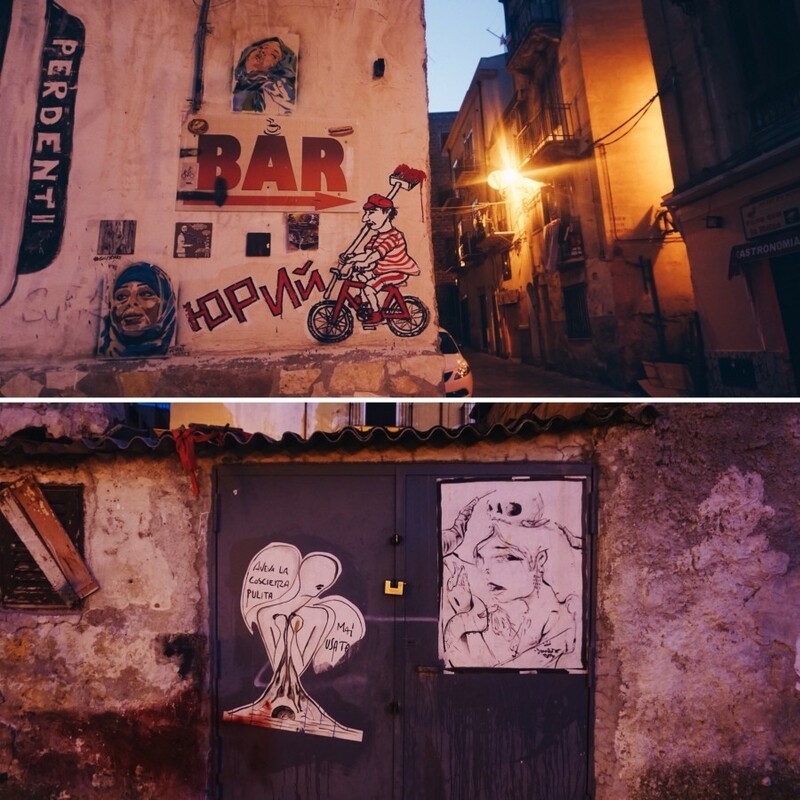 I’ll skip the monuments and focus on what makes me happy the most – food, locals, street art and pizza. 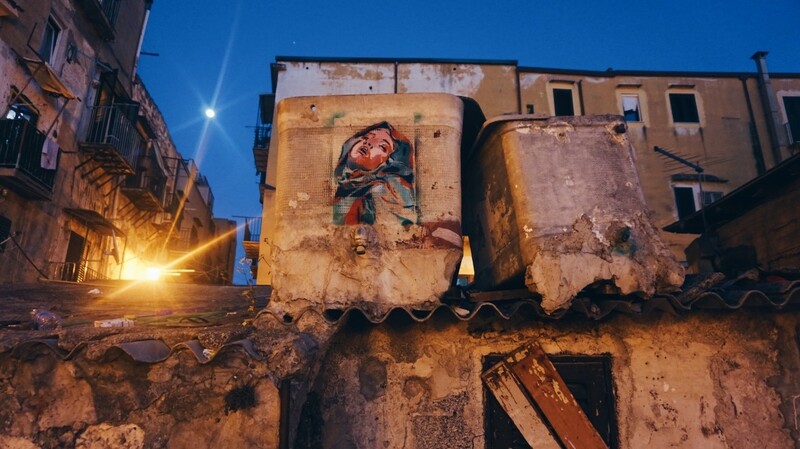 It is really hard to describe Palermo. The only word that comes to my mind is “real”. 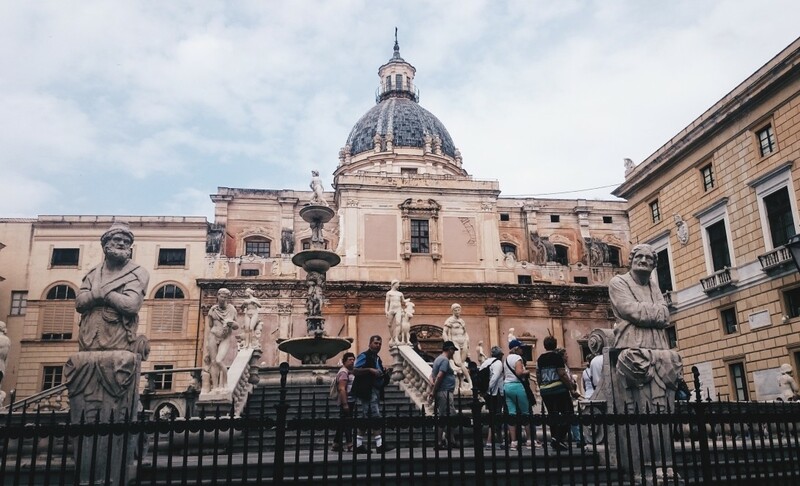 After a couple of months spent in crowdy and touristic Florence, Palermo became an amazing treat. Of course in the city centre there are some people from abroad but this number does not disrupt the Sicilian atmosphere. 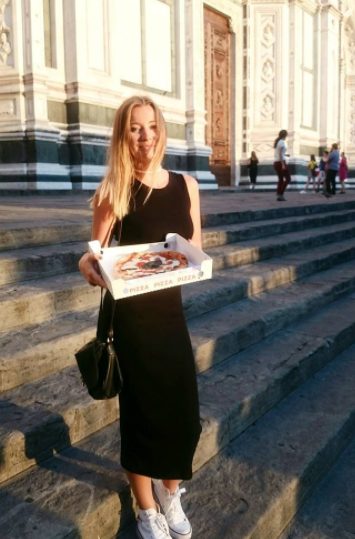 Sicilians are completely different from Florentines. Behaving more like Spanish, they enjoy noise, they are spontaneous, cheerful and love celebrating every moment and occasion. What delighted me the most was…. Food! And it was the kind of food that came up to my biggest expectations. During the first day of our stay I started to wonder how much am I going to put on weight. Please answer me – if something is both cheap and delicious, is it possible to deny it? I always perceived myself as a poor fan of sweets. However, those in Sicily are simply amazing! I couldn’t survive one day without trying amazing cannolo dessert. Cannolo is a crispy tube cake with sweet ricotta filling. Be careful my friends – it is as much addictive as pizza! 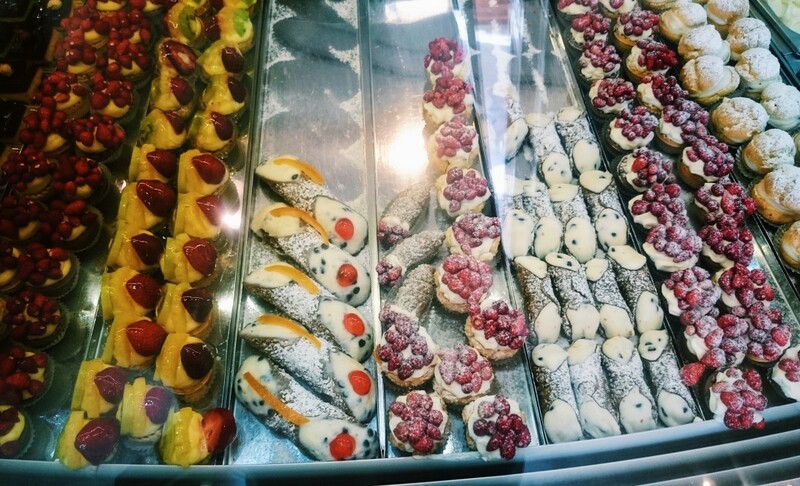 In local confectioneries I found a whole variety of my favourite sweet cannoli and salty mini calzoni and delicious wheat buns filled with mozzarella, ham or salami (sounds like pizza!). A traditional sicilian dish is arancine (also calles arancini) – fried breaded balls with rice, ragu’, tomato sauce, mozzarella and sweet peace. 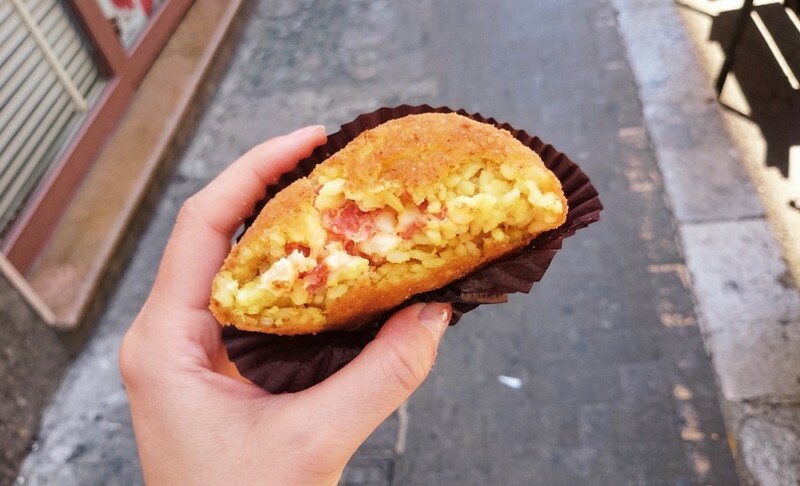 In KePalle you might find the finest tradition arancine of different kinds with many stuffings – my choice was (as you should already guess) mozzarella and salami. 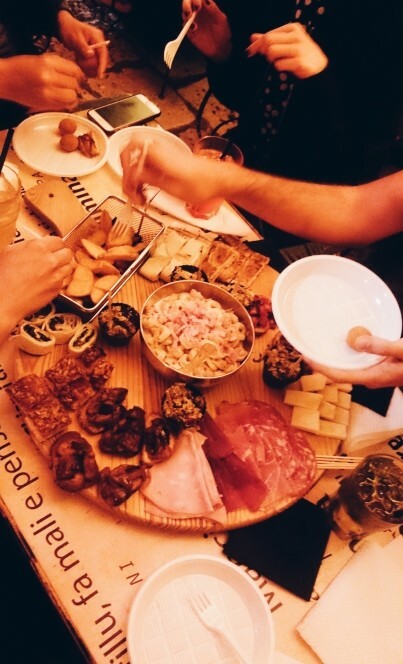 The best place for italian aperitivo (here I described this tradition) is Il Siciliano. A set meal of a dish and drink cost quite a lot – around 10 euro per person, but believe me – this is going to be your best spent 10 euro ever. The day we visited this place, there was an amazing concert of some Italian band with a charismatic “pirate” vocalist. Despite amazing food, at Garraffello square in the Vucciria district I managed to witness one of the best parties ever. The neighbourhood is outstanding – 0.6l beer costs 1.50 euro, shots for 1 euro, cool pubs (tavern Azzurra!) and in every single corner of the street there is different type of music playing and people feel free to dance around. On Saturday evenings this area becomes one, vibrant outdoor party. This is something I’ve never seen in Florence. At the same time it reminds me of Spain and its traditional fiesta – friendly atmosphere, people that are living the moment and enjoying every second of the night out with friends. No fighting, no negative vibes – only happiness. I guess this was the moment when I felt the one and only spirit of Palermo. I believe that party in the Vucciria district should become the part of everyone’s Bucket List. 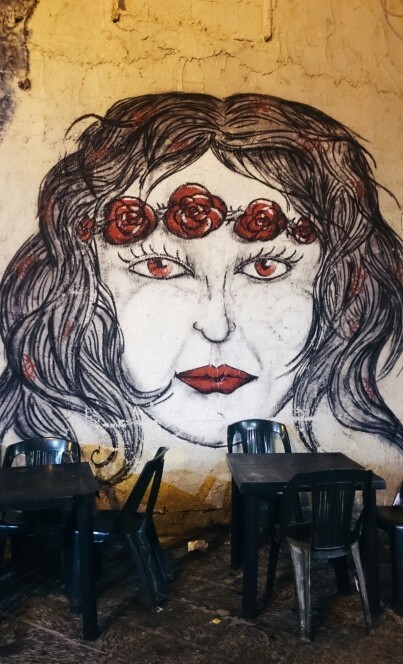 What amazed me even more in Palermo is the street art. I’ve managed to recognize a couple of Florentian artists. 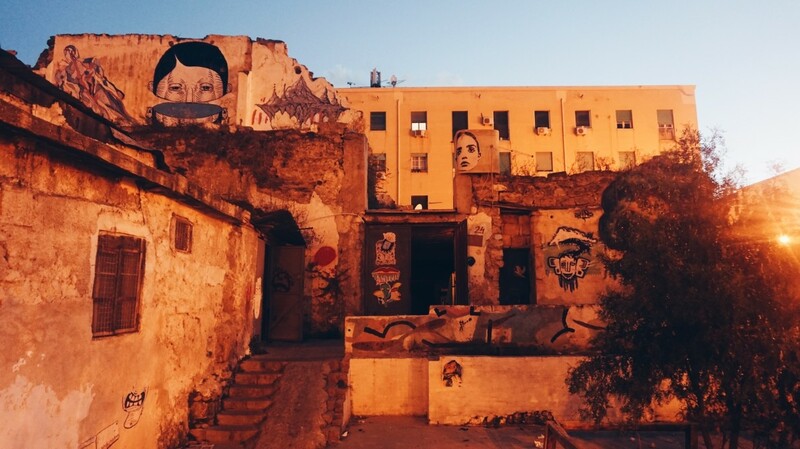 You might find a lot of interesting painting in the Vucciria district. Most breathtaking pieces are located in Ballaro’ market – a place that is a complete must have in every traveler’s day plan – during the day there’s an amazing market with fresh fruits and vegetables. I strongly believe that this area is not a great place for taking pictures after dark but yet, my stubbornness won and right below you may see the effects! 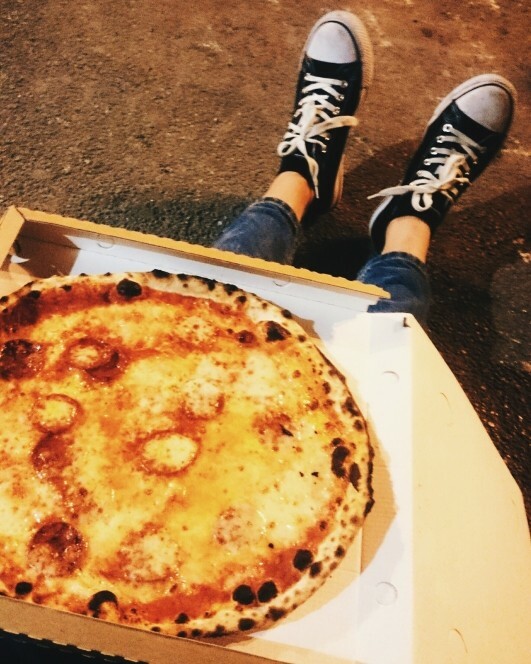 Remember, pizza is not only a delicious meal – it is a lifestyle! Wanting to taste some typical regional dishes I had some small problems to manage eating pizza. However, after I saw the queue to Frida Pizzeria in Palermo I simply couldn’t resist. We had to wait for some time, but finally we got 5 delicious pizzas to takeaway! We brought them and happily ate, sitting on the kerb. 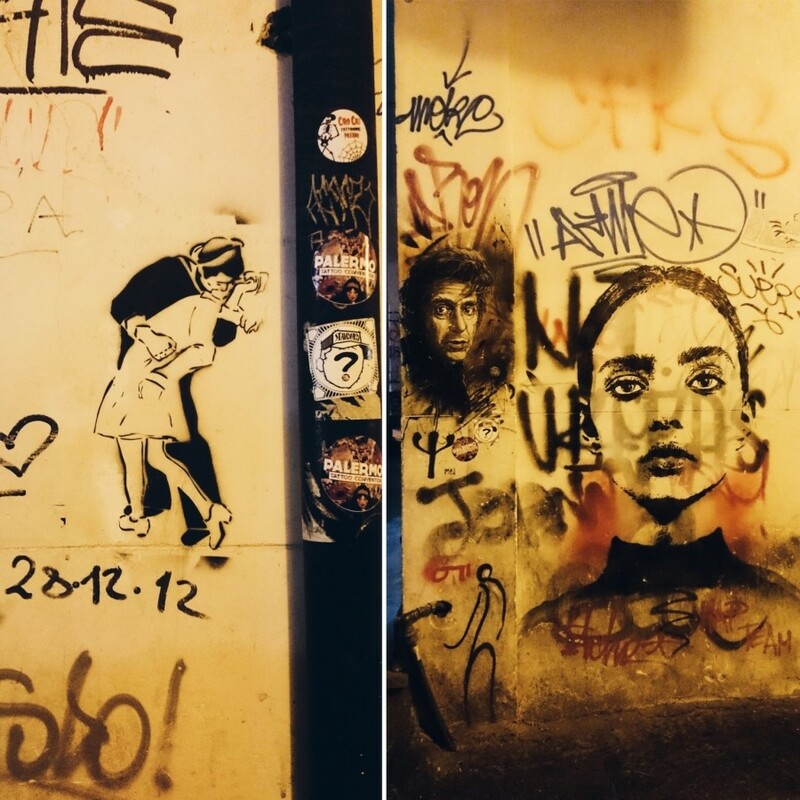 When it comes to the restaurant itself – it has an outstanding design, a lot of amazing pictures of Frida and quite high prices as for Palermo (6 euro for salami pizza). However, the quality of food is really good. Pizza is made of thin and heavenly delicate pastry. 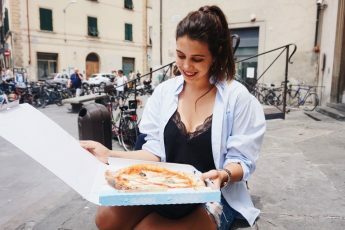 Frida’s pizza is very popular in this region so if you would like to sit inside you have make a reservation  Personally, I recommend my way – cheaper, faster and no coperto attached! How about you? 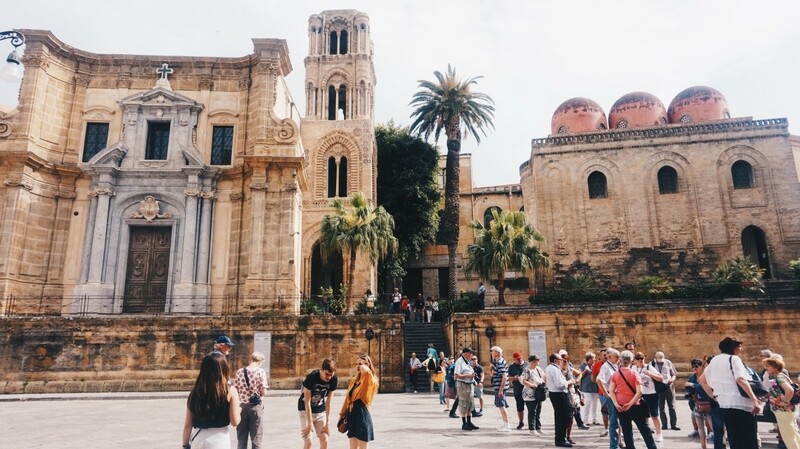 Have you ever been to Palermo or Sicily? Let me know below! 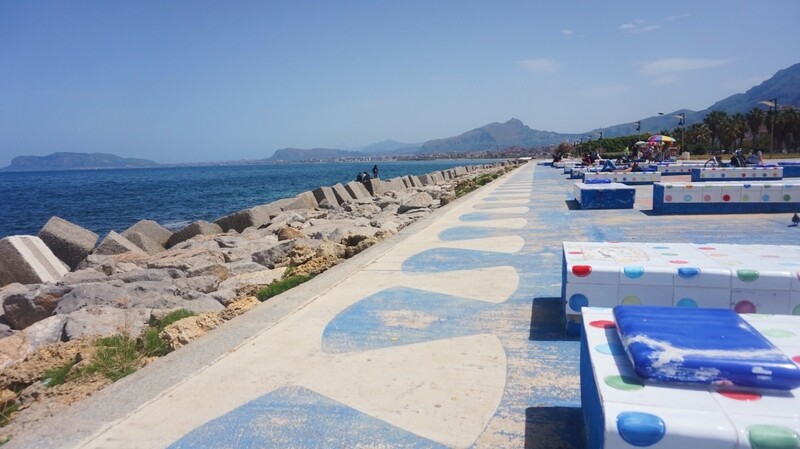 Next time I’ll post an article about the most beautiful beaches in Palermo! Like my facebook fanpage and stay tuned!